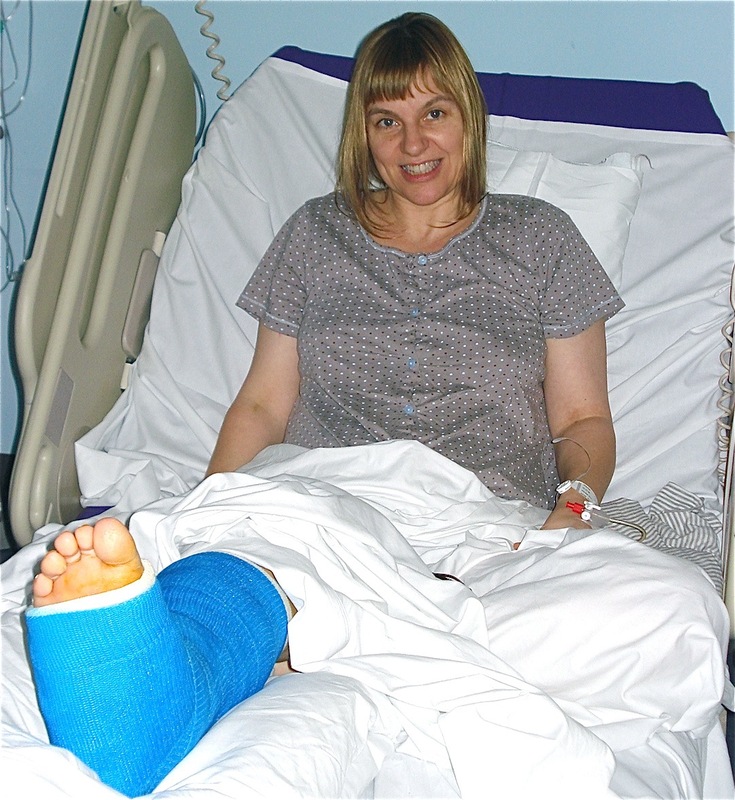 Here’s Sian today (Tuesday) after the operation on her ankle sporting a rather fetching blue cast (very much ‘de rigueur’ this season we’re told). She’s in some pain but in good spirits and she should be out of hospital either Wednesday or Thursday. Hooray! This entry was posted on Tuesday, December 6th, 2011 at 8:45 pm	and tagged with #hospital, #humanmusic, #siancroose, #voiceproject and posted in music, singing. You can follow any responses to this entry through the RSS 2.0 feed. Dear Sian, just discovered this blog, so amazing. But not good news, you are in hospital ! Hope you are recovering quickly !